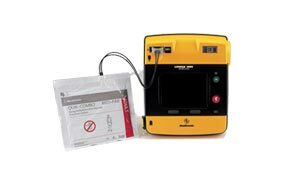 The LIFEPAK CR® Plus AED was created for lay users in commercial and public settings. For use by the first person at the scene of a cardiac arrest, it is designed for minimally-trained rescuers. The AED tells the rescuer exactly what to do, one step at a time, in a simple, clear voice. It is easy to understand and use in a cardiac emergency, when every second counts. 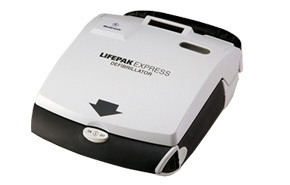 The LIFEPAK EXPRESS® AED from Physio-Control is designed to be used by the first person to respond to a sudden cardiac arrest (SCA) victim – easily, safely, and effectively. Although not everyone can be saved from sudden cardiac arrest, studies show that early defibrillation can dramatically improve survival rates. 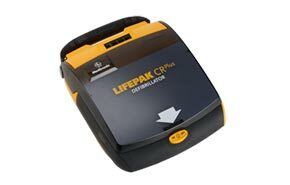 The LIFEPAK 500 automated external defibrillator is designed to be used by first responders to cardiac emergencies. This affordable, rugged device is extremely portable at about seven pounds. 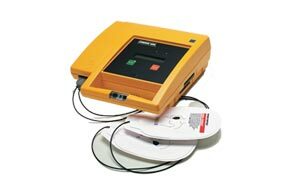 Low maintenance requirements and intuitive operation make it the ideal product for all AED users. 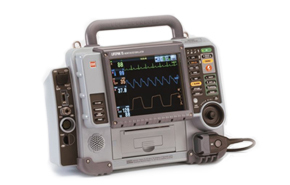 The LIFEPAK® 1000 defibrillator is the most rugged defibrillator ever designed by Physio-Control, with an IP55 rating. ADAPTIV™ biphasic technology provides a range of energy up to 360 joules, and an upgradeable platform. 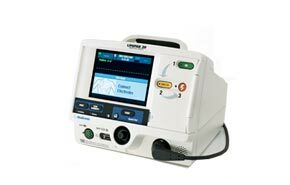 The LIFEPAK 1000 is equipped with cprMAX™ technology, enabling care providers to change protocols as standards of care evolve. 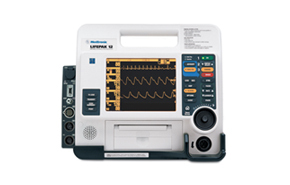 A large, intuitive screen displays graphics and ECG readings that are clear and easy to read from a distance. A visible and accessible battery gauge gives rescuers the ability to assess battery readiness. The non-rechargeable battery can deliver more than 425 shocks. The LIFEPAK15 Monitor/Defibrillator is for ALS teams who want the most clinically innovative, operationally innovative and LIFEPAK TOUGH™ device available today.